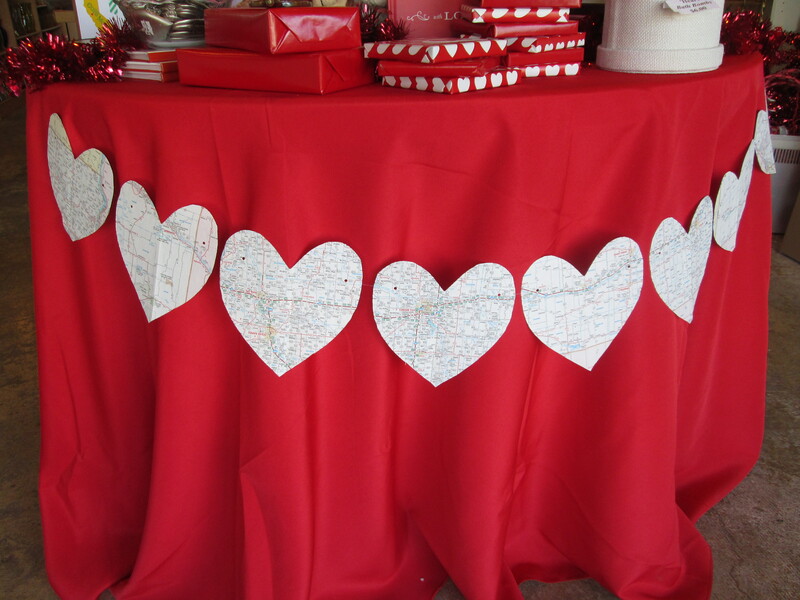 I wanted to do something kind of fun and different this year for Valentine decorations: something girly but not over the top, something unique but still simple and easy. 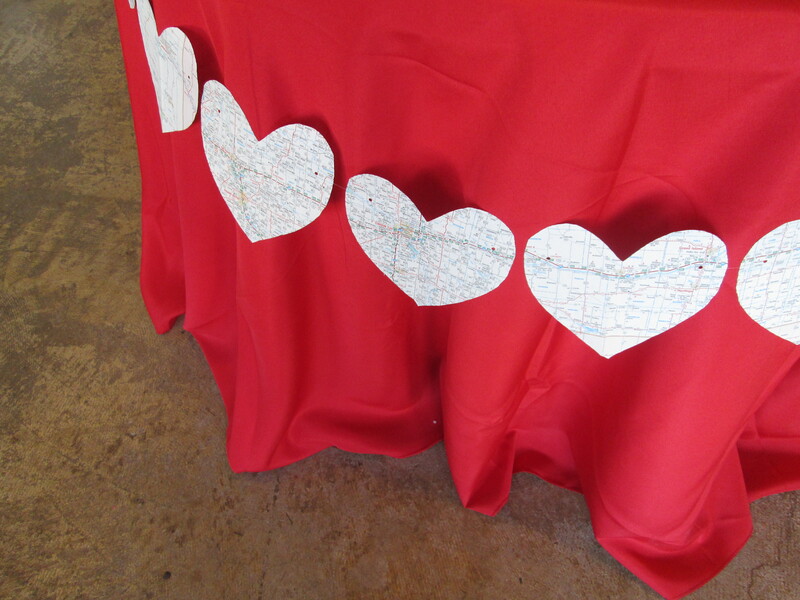 I’ve got travel fever with an upcoming trip to the UK on my summer horizon and had a few old maps lying around so in the spirit of wanderlust (and Love Day), I put together this incredibly simple Map Heart Garland. 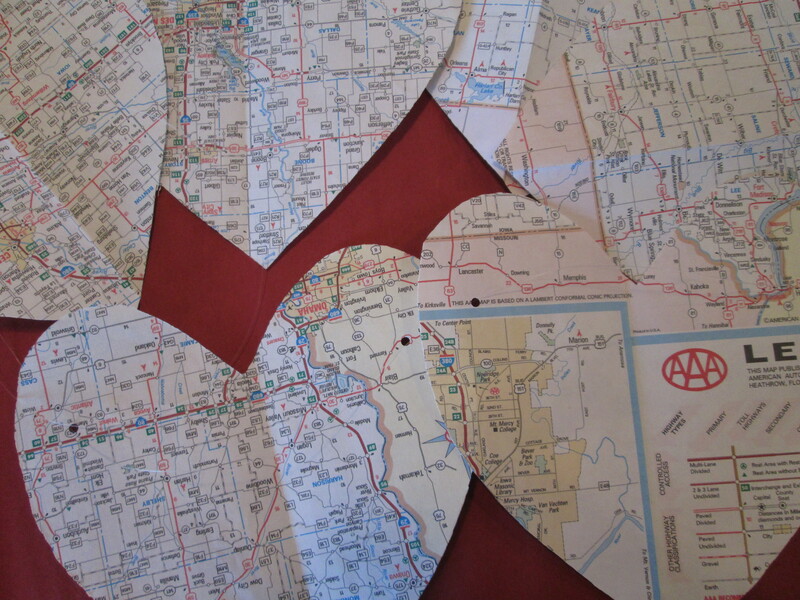 You can really do this project with any kind of paper – book pages, cardstock, construction paper or even old wallpaper. 1. 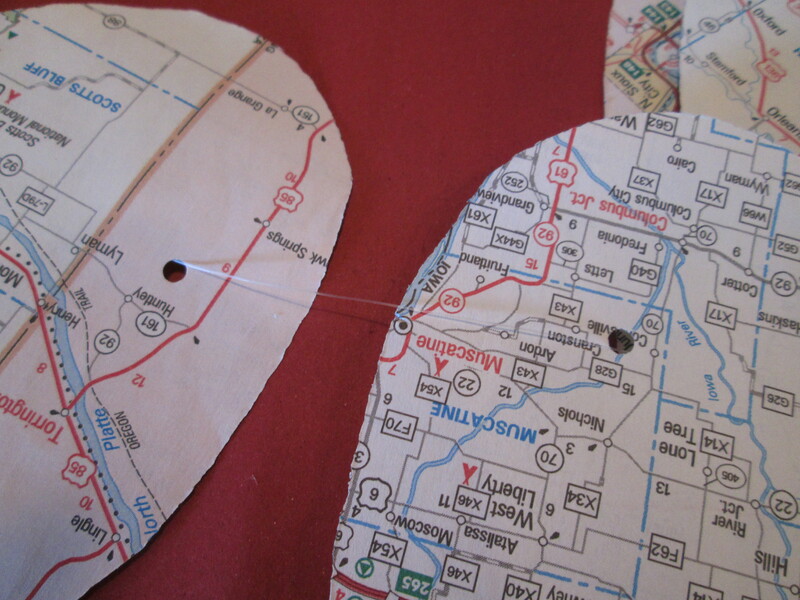 Fold the hearts in half and punch holes through each at the upper rounded corner. 2. Thread monofilament line through the front of the first hole and out the second so the line lies across the back of the heart. Repeat with remaining hearts. 3. 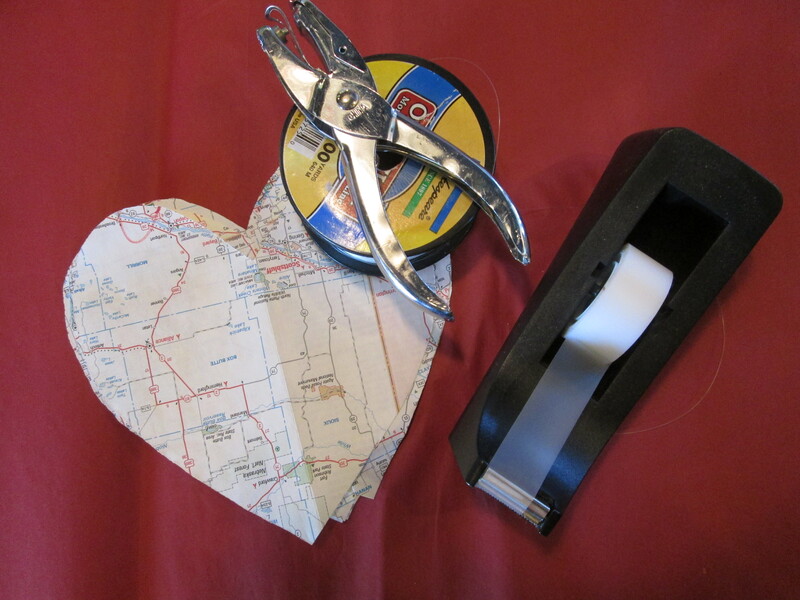 Position the hearts the distance apart desired and place a small piece of tape over the monofilament line on the back of each heart to hold them in place. 4. String up for festive decoration! I’m in love with the results – so modern and chic (and recycled!) 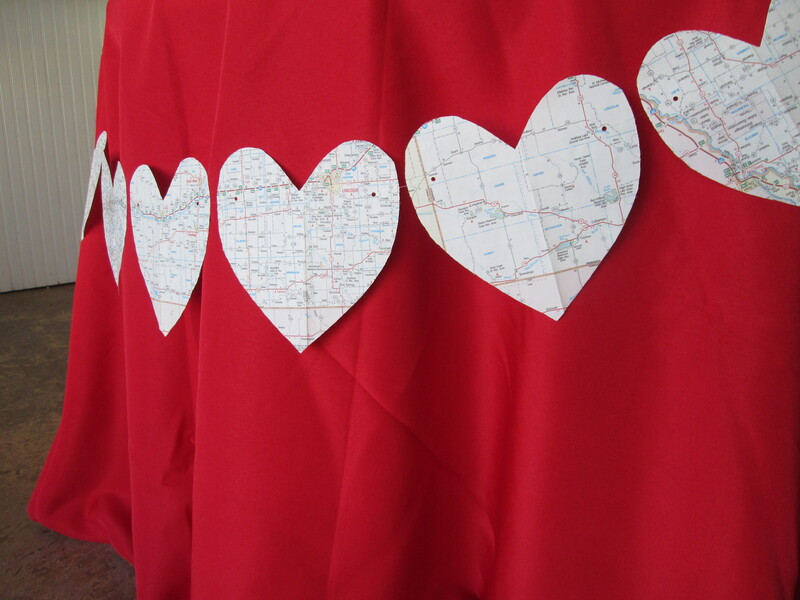 What decorations have you put together for Valentine’s Day?